Ms. Svitlana and her husband lived and worked in Donetsk. After retirement, they decided to move outside the city. In 2010, they bought a house in the Vodiane Village and began to live there until one morning a trouble had happened. ‘In November 2014, an artillery shell hit their bathroom. We first repaired the damage, but there still was no electricity and water, so we left the house. Then there was hard bombardment, so we moved quickly and did not even have time to pick up possessions. It was possible to take only two TV’s and chandeliers. Then, by January 15, 2015, no one entered the house. On January 20, the Ukrainian army came and turned our house into fire point. When we got back there in October, the house was destroyed, no roof, no windows. The house looked as if there had been an earthquake,’ says the woman. Now, these seriously ill retirees rent housing in Kyiv Oblast and have lost the last hope of rescuing their home. ‘We have heard that the windows were closed with film, but still, rain and snow fills the rooms. I told the husband that I would not go there. If we were young, we could hope to earn money, but now nobody will even employ us,’ says Svitlana. Legislation of Ukraine provides social protection of victims of terrorist acts, so she turned for advice to the Ukrainian Helsinki Human Rights Union. They learned about this opportunity from residents of the neighboring Pisky Village, to which UHHRU helped earlier. Yulia Naumenko, a lawyer, who works with the Strategic Litigations Center of UHHRU, prepared and filed two applications: one to the European Court of Human Rights and the second claim – to the Pechersk District Court of Kyiv. ‘I was a representative of the victims in court. On September 1, 2016, I filed a claim on their behalf to the court about the value of the lost property. Currently, a complaint to the European Court is registered. 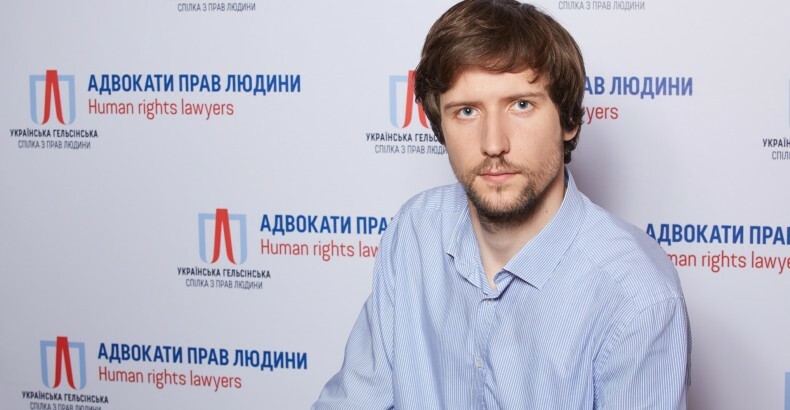 We have already achieved the first results in Ukrainian courts,’ says the lawyer. On January 27, the Pechersk District Court of Kyiv in its decision upheld the claim to the State of Ukraine represented by the Cabinet of Ministers, the State Treasury Service, the Anti-Terrorist Center under the Security Service, the Ministries of Defense and the Interior and the Department of National Guard of Ukraine. The amount of compensation from the State Budget of Ukraine for damage caused as a result of a terrorist act on the damaged home and property was over UAH 6.7 million, and UAH 10’000 for non-pecuniary damage to every person. The judgment of the court for the retirees was a complete surprise since they have long lost faith in the judicial system of Ukraine. ‘To win such a process, victims should have the ownership papers and certificate of inspection of the destroyed housing. There should also be testimonies of eyewitnesses, photos, and videos, articles in the media,’ says Yulia Naumenko. Such certificates of inspection can be issued by local administrations, and reports on the value of the damaged property can be issued not only by local administrations but also private experts, who have the appropriate license. The decision of the Pechersk Court is not final since the defendant was extremely dissatisfied and is going to file an appeal. ‘The representative of the Ministry of the Interior said that he was offended by this judgment. That was very strange because all our requirements were based solely on the Ukrainian legislation on combating terrorism,’ says Yulia Naumenko. Given the scope of damage caused by terrorists, the number of destroyed buildings, the amount of compensation may be such that the State Budget will bankrupt. The law “On Сombating Terrorism” was adopted in 2003, and the MPs, voting for it, could not even imagine that Russia will deploy hybrid fighting and begin to carry out massive terrorist attacks on the territory of Ukraine. What to do? ‘We insist that public bodies should not bury their heads in sand and settled the matter. At present, this problem requires the adoption of certain specialized legislation. Since there is no new legislation, the state has to pay everything for everybody, because no limits on compensation are simply there,’ says Mykhailo Tarakhkalo. According to Mykhailo Tarakhkalo currently, court practice divided into two ways: the first says that any damage caused during ATO shall be compensated from the State Budget of Ukraine; the second one involves only the possibility of compensation for damage caused directly by soldiers of the Ukrainian army. ‘But it is not possible to prove, who exactly damaged property. When citizens go to law enforcement officers to establish the fact, they approach to this formally, because of a large number of appeals and the lack of resources. So some special examinations are rarely conducted,’ says Mykhailo Tarakhkalo. According to the lawyer, the state should create a transparent system for compensation for destroyed property. This is necessary in order to attract international donors to help the Ukrainian government to pay this money.